An automatic transmission is a marvel of technology when it is operating normally; however, if it develops a problem the cost in time and money can be very high. If you feel a change in shifting, or a transmission warning is displayed, have your car checked as soon as possible. At Motorcars International, we have the specialized equipment and training necessary to properly diagnose and repair your vehicle. Please call or email to schedule an appointment. BMW Transmissions can perform flawlessly for many miles. But when they do not Motorcars International can provide service or repairs at reasonable costs. 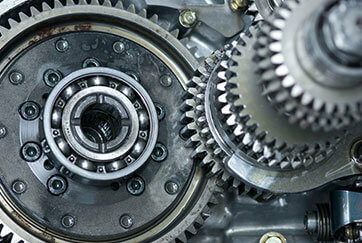 We offer a 24 month / 24,000 mile warranty on services and 36 Month / 36,000 Mile warranty on re-manufactured transmissions. Ensuring the longevity of your BMW is an important part of your purchase. With the excellence the BMW offers, keeping it in pristine condition makes your investment worthwhile. So don’t delay getting your BMW checked out at the first sign of distress; come to Motorcars International, and we can guarantee you’ll receive the most superior BMW transmission repair service in Atlanta. Give us a call today at 770-766-8164.